The PokerStars Monday Million attracted 23,697 players to create a $4,739,400 tournament prize pool, more than double that of its original $2,000,000 guarantee. The Christmas Festival edition of the Sunday Million tournament featured a final table with five European players, three South American players and one player from New Zealand and was one of the richest online poker tournaments of 2016. First prize won by Russian poker player ‘tolstiykry’ in the PokerStars Sunday Million who beat a field of 6,289 players to claim the largest payout from the $1,257,800 total prize pool. PokerStars Championship Bahamas features 92 scheduled tournaments. The festivities kick off today (January 6) and run until January 14 at the Atlantis Resort in Nassau. Check in with PokerStars Blog for live updates throughout. If you’re not on our media lists please let us know, our communications team and media coordinators are on the ground to get you what you need for your stories. The amount of times that PokerStars mini game The Deal has turned into an even bigger deal since launch at PokerStars just over two weeks ago. Nearly 400,000 players have played this mini game a combined 20 million times, triggering the Jackpot a record 13 times. The Jackpot prize pool is split equally between the jackpot winners and those who have played it in the 12 hours prior. The Deal can be found in the main lobby of the PokerStars desktop client, acceded at the poker table or under the ‘More’ menu on the mobile app. 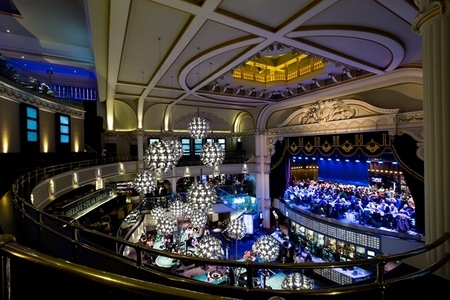 PokerStars Festival London is taking place from January 22-29 at The Hippodrome Casino. The PokerStars Festival will host eight days of poker action with events beginning at £120 and climbing up to £2,200. Relive many of the greatest moments in EPT history, and hear from the people behind the scenes that made the EPT the greatest festival series in poker history.